At North Carolina Outward Bound School, we have something for everyone! Check out these upcoming featured courses and staff favorites. If you have questions about these courses or would like to enroll, please call us at (888) 756-2627 or email info@ncobs.org. Designed for adults, this new 28-day Blue Ridge Mountains to the Outer Banks Course works particularly well as a bookmark between life’s chapters. Whether between school and work, university and graduate school, between semesters, or post-AmeriCorps, this program takes participants out of their comfort zones and into a place of growth and possibility. Self-discovery takes time. After 28-days of digging deep and pushing yourself and your crew, you can expect to come away knowing exactly what you can offer as a person and as a teammate. This course is designed for younger teenagers with a thirst for adventure and a desire to grow into the best versions of themselves. Explore the central rivers of Florida by canoeing, traveling with all of the food and gear needed for all of your days of outdoor travel. 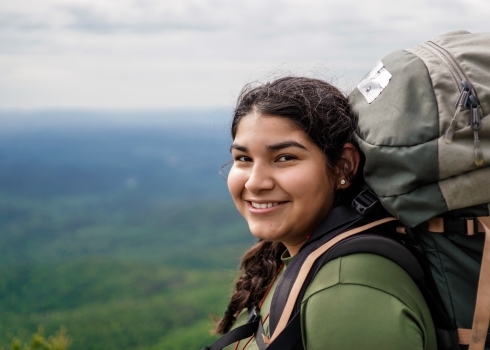 This multi-activity, girl’s-only course offers the same challenges as any Outward Bound expedition, with the added focus of sharing this leadership experience with other young girls. This course will be led by a passionate, talented female Instructor. Intercept courses are structured wilderness expeditions that help address behaviors such as unhealthy risk-taking, low self-image and motivation, defiance and poor decision-making and school performance. 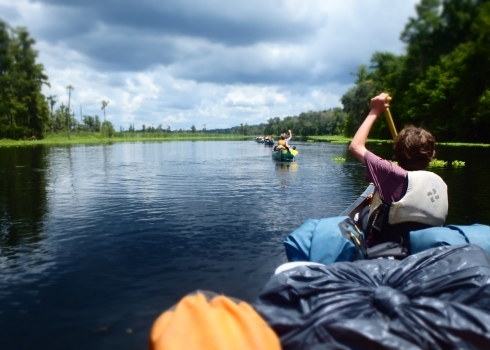 Throughout the course, students will be introduced to the joys and challenges of expeditionary canoe travel, camp craft and group dynamics while traveling in the unique ecosystems of Florida’s waterways.